The original 18-hole layout opened in 1927 and was designed by renowned golf course architect Tom Bendelow. During World War II the back nine was abandoned due to lack of play. After the Wiese family purchased the course in 1955 the back nine was redesigned to it's current configuration. In 2000 construction began on our Glacial Nine which was designed and built by Bob Lohman. Quit-Qui-Oc is Menomenee Indian (and a little French) for "land along the crooked river." The name has a long history in the area. 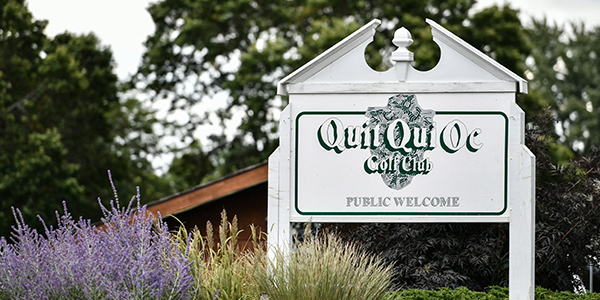 Part of the nearby City of Plymouth was once called Quit Qui Oc.